BiForm composite sheds have been formulated especially for New Zealand and Australian high UV conditions. The first of its kind in New Zealand! 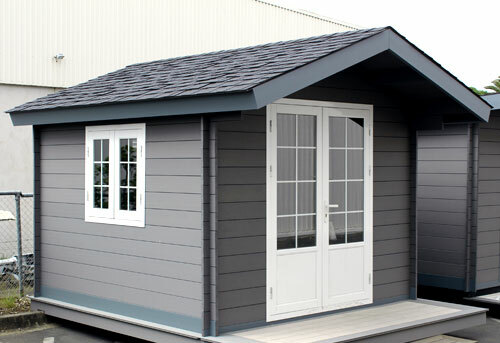 BiForm Composite Sheds are made of the same wood-plastic composite that we use for our decking, creating a classy, modern and eco-friendly shed space for your outdoor area. 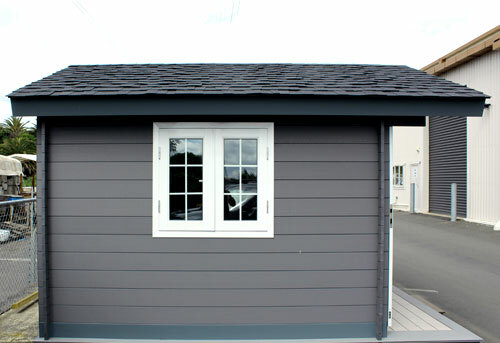 The versatility of the shed means that it can be used as a garden shed, outdoor office, studio or a man-cave/she-shed! The use of the BiForm Composite material means that there is no need to paint, stain or oil your shed, while also eliminating the worry of having it rot, decay or warp. Made up of 60% waste timber fibre and 30% recycled HDPE plastic, Biform composite also has additives of colour, UV protectants and mould inhibiters. The materials are heated, pressurised and extruded into the shape of the each kitset component. Biform Composite has no formaldehyde and no harmful timber treatments. BiForm Composite is specifically suited to New Zealand's varying weather conditions, including the high UV sunshine. Complimented by well designed joinery this wood-plastic composite shed will look amazing while also standing up to whatever weather is thrown at it.